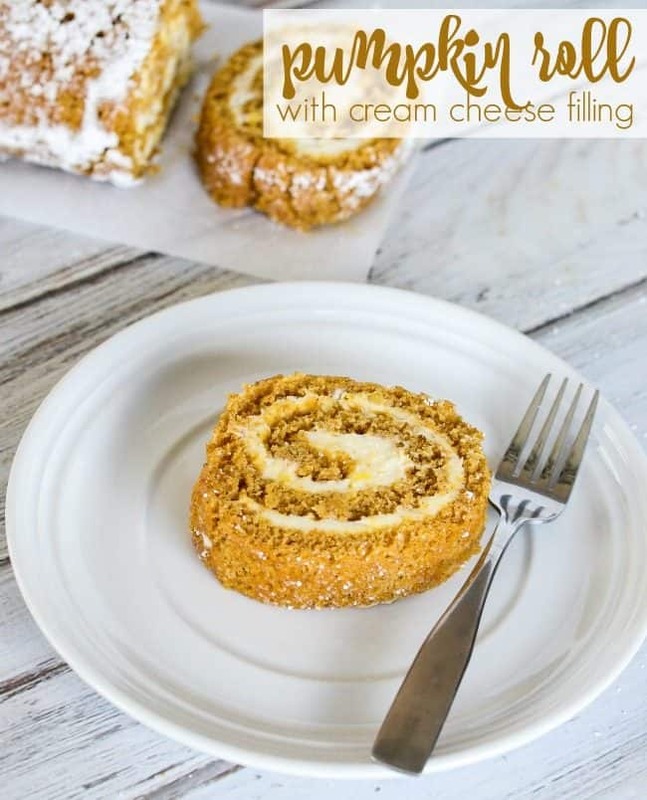 Pumpkin Roll with Cream Cheese Filling is a must make fall treat! 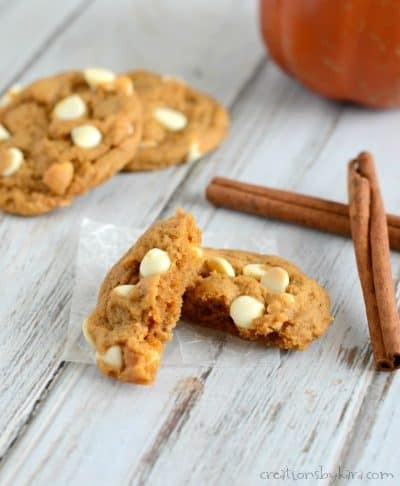 Spices like cinnamon, nutmeg, and ginger give it that classic fall flavor, and the cream cheese filling makes it simply scrumptious. We love pumpkin desserts around here. Pumpkin Bundt Cake with cinnamon cream cheese frosting, Chewy Pumpkin Cookies, and Magic Pumpkin Cobbler are a few of our other favorites! Pumpkin roll was one of my favorite desserts when I was a child. For some reason, I never made it as an adult. I guess I was a little intimidated by the whole process, so I never tried. I finally called my mom and got her tips for making pumpkin roll, and it wasn’t as hard as I imagined. You’ve got to give it a try! -The first trick is to line your jelly roll pan with parchment paper. That makes it much easier to remove after it bakes. -To make your batter, you first beat the eggs really well. Then you gradually add in the sugar, then the pumpkin and lemon juice. Pour it into your prepared pan and bake at 375° for about 15 minutes. -While the cake is baking, sprinkle a flour sack towel generously with powdered sugar. (I ended up adding even more than what is pictured below.) Flour sack or other smooth towels work the best; avoid towels that look like terry cloth, they can leave lint in the cake. -While the cake is still hot, dump it out onto the sugared dish towel. Peel off the parchment paper. Roll up the cake and the dish towel loosely, then let cool completely. -While the rolled up cake is cooling, prepare the filling by beating all ingredients till smooth. -After cake is cooled, unroll it and spread the filling to within 1/2 inch from the edges. -Reroll the cake (without the towel). Wrap in plastic wrap and chill for at least two hours. At this point you can also freeze the cake if you prefer. If I’m going to freeze it, I double wrap it in plastic wrap. You can serve it frozen or thaw before serving. When you are ready to serve your pumpkin roll, sprinkle it with powdered sugar. Isn’t that pretty? My mom’s version of Libby’s Pumpkin roll has pineapple in the filling. We think it is a super tasty addition, but you can of course leave it out if you prefer. You will probably need to add a little milk in its place. We actually like nuts in the cake roll, they add a tasty crunch. If you want, you can sprinkle 1 cup of finely chopped pecans or walnuts on top of the batter before you bake the cake. The nuts will end up on the outside of the pumpkin roll. The spices are totally adaptable. You can add more or less of any of them according to your taste. You can even use pumpkin pie spice if you prefer. 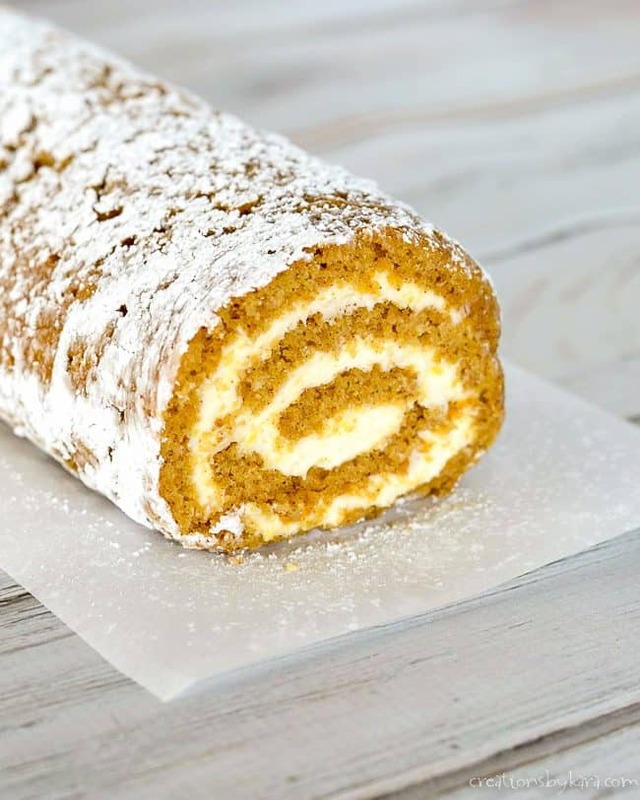 Pumpkin roll is traditionally served chilled or at room temperature. I had a friend serve it frozen one time, and I discovered that I really like it that way. It tastes like an ice cream cake. So refreshing! 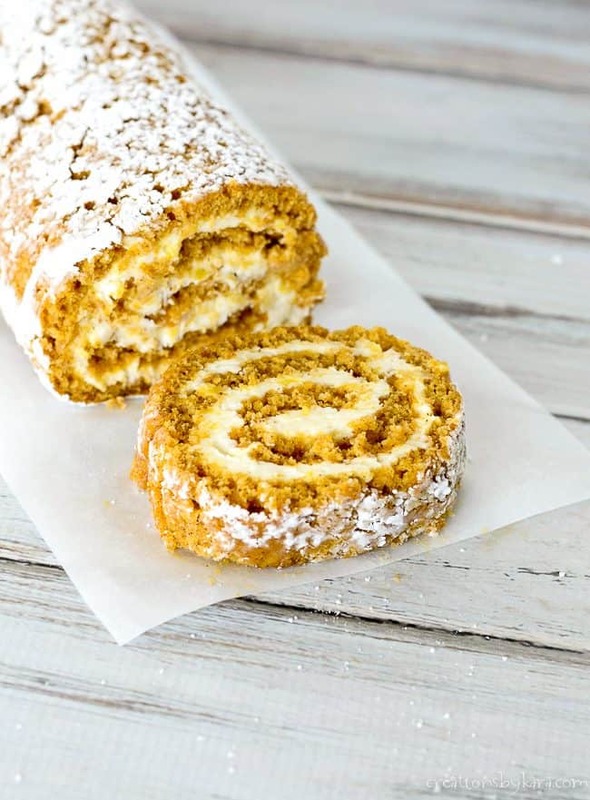 No matter how you serve it, this pumpkin roll is one delicious fall dessert! Jelly Roll Pan – sometimes called a half sheet pan, these are my favorite pans for cookies, sheet cakes, and so much more! Parchment Paper – this makes dumping the cake out so much easier! 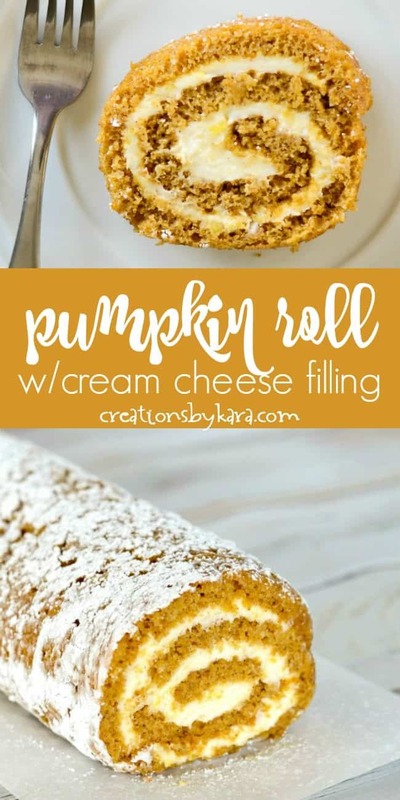 Lightly spiced pumpkin roll with pineapple cream cheese filling. In a large mixing bowl, beat eggs for 5 minutes. Gradually beat in the sugar. Beat in the pumpkin and vanilla. Whisk together the dry ingredients in a small bowl, then add to the pumpkin mixture. Stir till well blended. 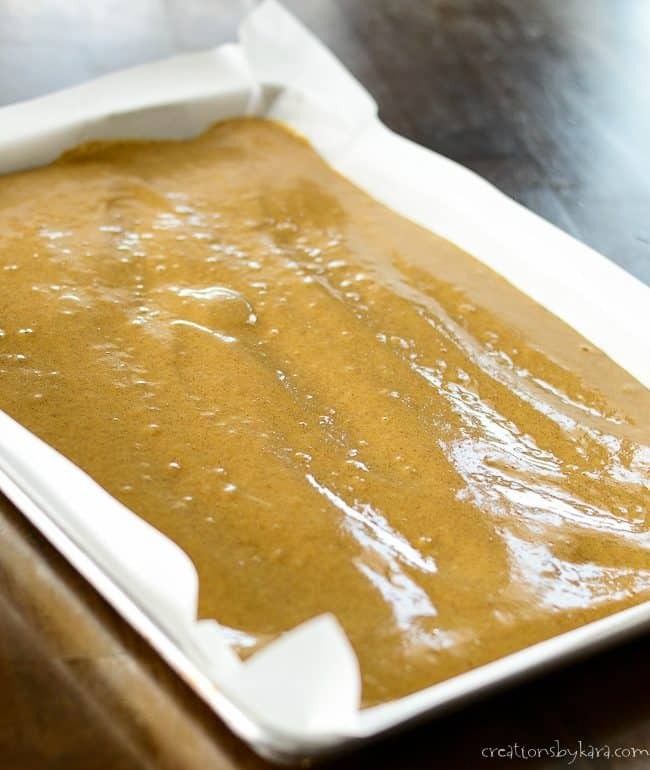 Pour batter into a jelly roll pan that has been lined with parchment paper and sprayed with non-stick spray. (Mine is about 15 x 11 x 1".) Bake at 375° for 15 minutes, or till cake is completely set in the middle. Invert hot cake onto a flour sack dish towel that has been sprinkled generously with powdered sugar. Loosely roll up the cake and towel, and let cool completely. While cake is cooling, prepare filling by beating all ingredients together till smooth. Unroll cake and spread filling to within ½" of the edges. Roll the cake up starting at the short side. 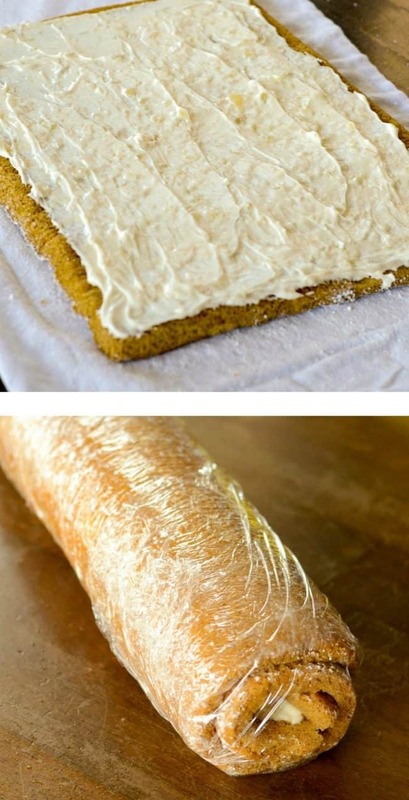 Wrap pumpkin roll in plastic wrap and place in the refrigerator. Chill for at least two hours to blend flavors. It can also be frozen at this point. To serve, unwrap the pumpkin roll and sprinkle with powdered sugar. Slice in 1" slices. 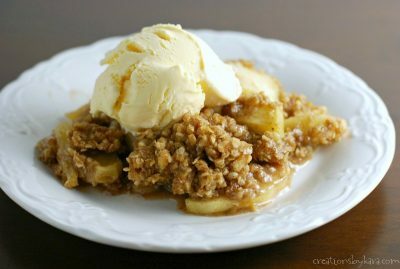 Note: I originally published this recipe on Lil’ Luna. 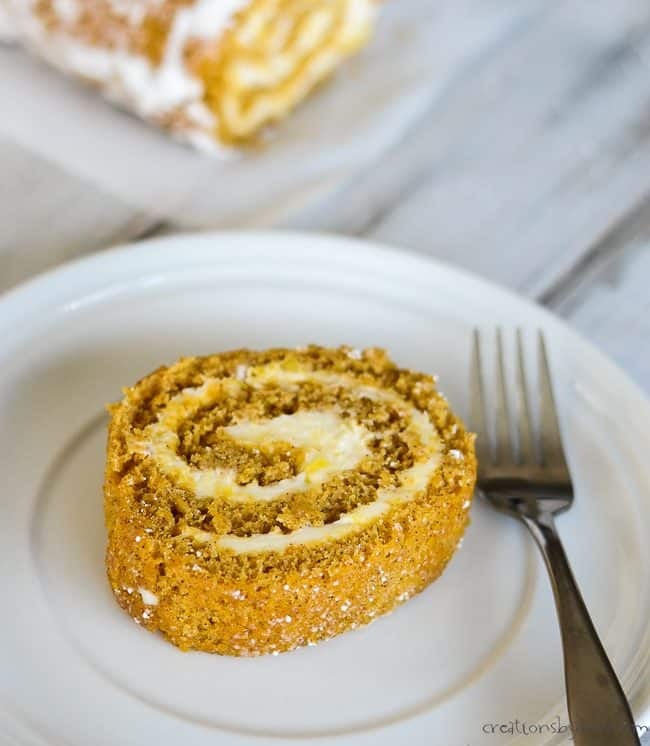 This Pumpkin Roll is one of my very favorite fall recipes!! Delicious! Thanks for the tips on how to roll it – I’ve always had trouble with that part. 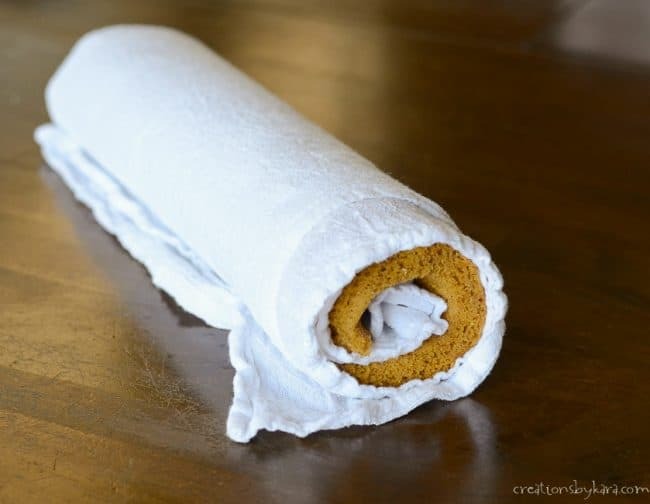 This pumpkin roll looks like it would be fun to have my kids make! Thanks for sharing! It would be a fun technique to teach kids! They could definitely impress friends and family! This recipe SCREAMS Fall!! 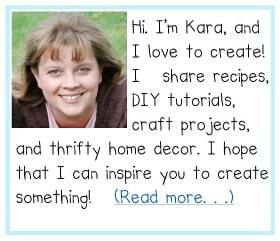 I am so excited to make it! 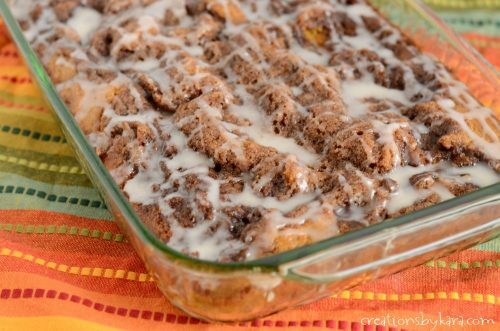 Oh yes, it is a perfect fall dessert that no one can resist! You can’t beat a classic Pumpkin Roll in the Fall! It looks so good! I would love to give it a try! You should, it really is tasty! The pineapple filling sets it apart from other recipes. So delicious! A must-make for fall! I love how easy this delicious pumpkin roll is – my new favorite fall dessert!